← How could government not know they were being lobbied by hospitals? 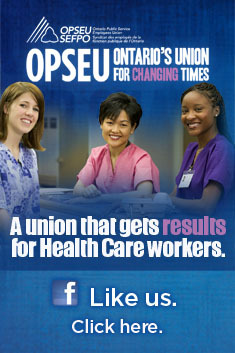 Muskoka Algonquin Health Care says it cannot cut anymore. Short $6 million to balance its budget, the hospital board is refusing to sign an accountability agreement with its Local Health Integration Network (LHIN) that would require it to balance its budget. The Muskoka-area hospital has gone back to the LHIN for more funding, and the LHIN is in turn is looking to the Ministry of Health for help. The hospital board admits there is no alternate plan. Residents are fearful that any further cuts would mean one of the two remaining sites of the hospital would close. At present MAHC operates hospitals in Bracebridge and Huntsville. A third site, The Burk’s Falls & District Health Centre was closed in 2009 as part of $3.1 million in MAHC budget cuts that also included bed closures and staff cuts. The hospital is projecting a $4.2 million deficit for this fiscal year, which is expected to grow to $6 million for 2011/12. MAHC has a working capital deficit of about $11.2 million. The Chair of the North Simcoe Muskoka LHIN said MAHC was the only hospital in the province not to sign its accountability agreement. Councillors elected to the District Council have been critical that the LHIN has not been open about the budget process for MAHC. As a footnote to this story, both the LHIN and the workers at the hospital presented to Muskoka District Council on the same day. While the LHIN makes much of its mandate to consult the community, they immediately left after their own presentation rather than stay to hear what the workers had to say. Is it any wonder the LHINs lack credibility when it comes to making decisions with the local community?